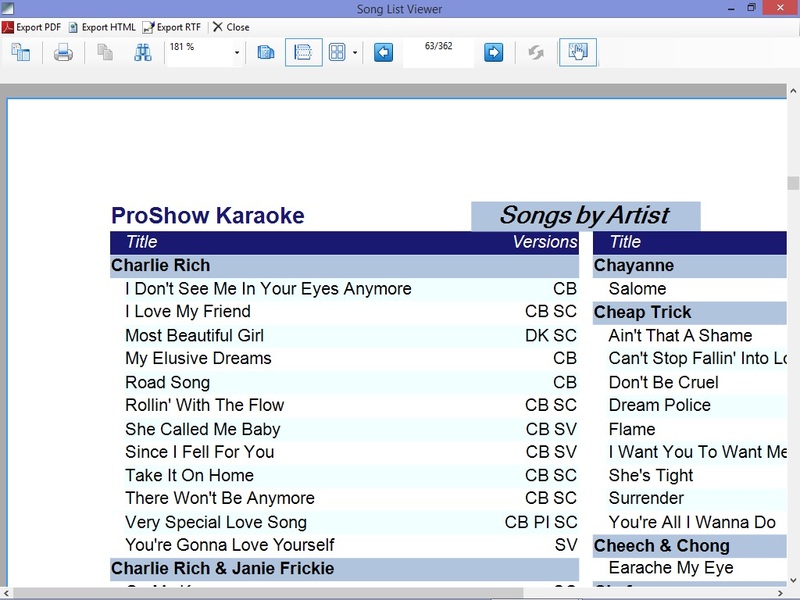 Generate professional song books from your MP3, MP3+G karaoke, or video files in just a few clicks! Song List Generator simply reads the music files right from your hard drive and creates a printable book of songs, sliced and diced any way you want (by Artist, Title, DiscID, multi-column, various font sizes, custom messages, custom paper and margin sizes). Exports to PDF format that you can have professionally printed or posted on your web site to download! 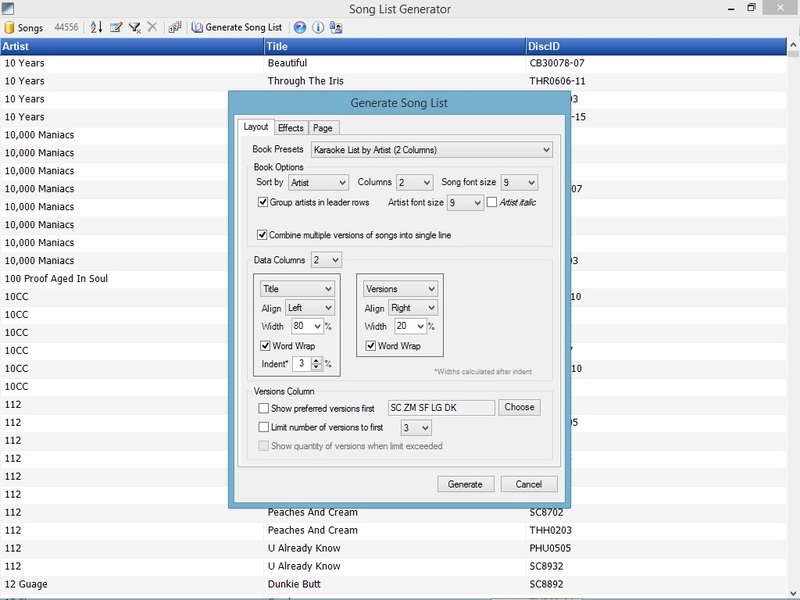 Advanced users can export raw song data to Microsoft Excel® for further processing. 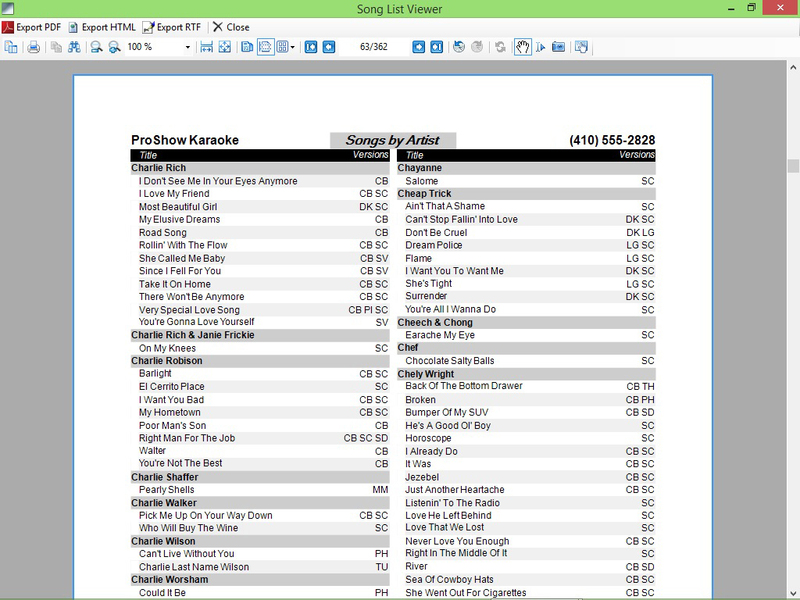 If you use binders with punch holes and want to print double sided, Song List Generator can alternate the left and right margins on odd/even pages for maximum space on each page. - Reads the files right from your hard drive. No database maintenance required! Reads either file name format or MP3 ID tag. - NEW! touch screen support with finger scrolling and pinch to zoom.
" What an amazing product! Thanks for finally cutting my time spent building books to about a quarter of the time and less than half the cost to do them. I will be a long time proponent of this truly outstanding product! " optional COLOR Printing and touch screen controls with zooming and panning!